Researchers examining the recently unveiled genome of the honey bee think they've uncovered a big clue in dealing with the colony collapse disorder ravaging U.S. hives. Three weeks after placing 400 hives in a Florida field to provide pollination services, commercial beekeeper David Hackenberg of Pennsylvania returned to find "only 30 of them had any bees left in the box." "I had never seen anything like it," he said. Since nearby colonies of bees belonging to another beekeeper were doing "fine and dandy," he speculated that whatever had killed his bees had been picked up prior to their arrival at that particular field. This was the fall of 2006, and Hackenberg noted he&apos;s been credited with first discovering what is now known as bee colony collapse disorder, or CCD. But he is modest about the distinction, "We all had this problem. I&apos;m just the guy that stood up and started making a lot of noise," he said. In hives suffering CCD (which reaches its peak in the fall), the majority of adult honeybee workers simply vanish. They leave the hive and never make it back, leaving behind an almost empty hive of mostly immature bees unable to sustain the colony or themselves. Since Hackenberg&apos;s unfortunate discovery three years ago, CCD has been reported in 36 states. During the winter of 2007-08, the mysterious syndrome killed off about a third of America&apos;s bees. As honeybees worldwide face threats from sources such as the intractable varroa mite, habitat loss and pesticide sensitivity, eminent entomologist May Berenbaum said, "There is cause for tremendous concern." However, last week Berenbaum and colleagues at University of Illinois Urbana-Champaign&apos;s Department of Entomology announced that genomic evidence from the recently completed Honey Bee Genome Project points to swarms of viruses as the possible culprit. "Actually I didn&apos;t set out to look at viruses," Berenbaum told Miller-McCune.com; researchers at her university instead started plowing through the recently completed bee genome data — the entire honeybee genetic code presented on micro array. "It&apos;s basically all 10,000 honeybee genes on a little glass slide," she explained, allowing researchers to look at patterns of gene expression in healthy versus sick organisms. "You&apos;re not testing an individual hypothesis; you&apos;re looking at an entire genome with the notion that the stress factor responsible will leave an imprint on the genome in the form of elevated gene expression or altered gene expression." The team ran comparisons between healthy bees and bees gathered from the remnants of colonies stricken by CCD; they compared mildly affected colonies to cases of severe colony collapse. "We did Central Valley of California versus other parts of California; we did historical bees versus contemporary bees. We did healthy bees in contemporary populations versus sick bees," Berenbaum said. "We finally came down to the most predictive indicator of colony collapse disorder." To Berenbaum, whose specialty is toxicology and who had been studying how bees metabolize pesticides they encounter, the result was surprising. "We were expecting to see pesticide detoxification genes either up- or down-regulated — that is, either turned on or turned off," she said. To the contrary, "We didn&apos;t see a clear pattern of detoxification genes being turned on or off. But what we did see were these odd little fragments of RNA, which we didn&apos;t set out to look for — we didn&apos;t even know they were there on the micro array." Gene Robinson, a co-author on the study along with Reed Johnson, Jay Evans and Berenbaum, said the fragments appeared to be broken pieces of the insects&apos; protein factory, known as the ribosome. "The fact that they are in fragments suggests that the ribosomes have been broken down, and we know that viruses are one way that ribosomes can get broken down," he said. 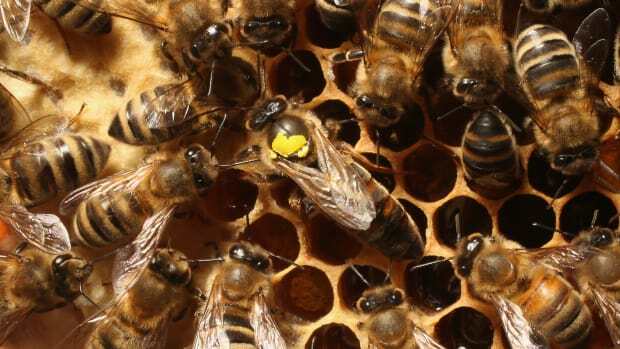 The researchers then screened the bees for viruses, and they found several — notably suites of viruses including Israeli acute paralysis virus, deformed wing virus and black queen cell virus. Although bees from different colonies with CCD bore differing suites of viruses, Berenbaum said all of those affected by CCD displayed signs of multiple viral infections, coupled with a significant overabundance of RNA fragments. "It turns out the honeybees with the busted ribosomes were also the ones carrying the greatest number of picorna-like viruses," she said, referring to the family of common viruses also responsible for human maladies ranging from colds to hepatitis A and polio. In short, the bees were swarmed by viruses — and then overwhelmed. Robinson said bees with compromised ribosomes would have difficulty making the proteins they need to survive. "Proteins are the building blocks of life. Immune response or any basic bodily function, any aspect of physiology or behavior can be affected if you can&apos;t produce as much protein as you need to." The fragmented ribosomes indicate a loss of function that Berenbaum says correlates well with colony collapse disorder. Robinson says there are "three layers to this problem." "You have the cause, you have the intermediate effect, and you have the ultimate effect. Our study addressed the intermediate effect, and it puts the research community in a better position to evaluate the various suspects as causes." He also suggests a diagnostic tool for beekeepers could be developed that could determine when their colonies might be at risk and when they might need to give their bees extra support to weather a crisis. As a 40-year veteran beekeeper, Hackenberg already feeds his colonies massive quantities of protein to compensate for stress. Still, he applauds the study and the basic research that allowed a relatively quick examination: "The great thing is, we were able to genome the honeybee before all this happened. What they have done would not have been possible without it." Nevertheless, he wonders why after millennia of peaceful coexistence have viruses suddenly begun wiping out honeybees. 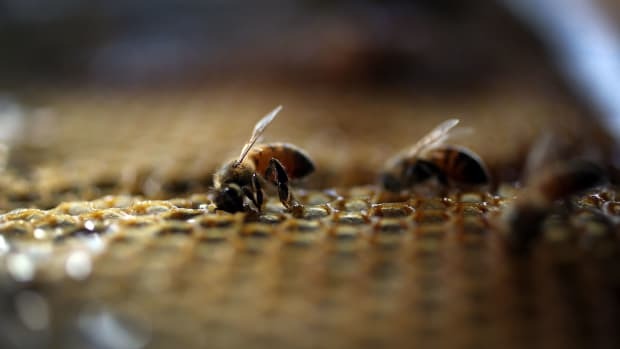 Berenbaum has been quoted suggesting that bees (or their parasites) imported from Australia after a law banning such imports was suspended in 2005 might be a good place to look for answers. Hackenberg, for his part, said tackling the problem will take a lot more research. "There&apos;s more to it."